In a pg Diff...since it's separate from the trans GL-5 id fine and most common today. Syn is just your choice..... of course it's better. But will you drive the car far enough to ever notice the difference? In a manual transaxle - GL-4 because the lube is shared with the syncro transmission. GL-5 is great stuff, but is caustic to the syncro metals. 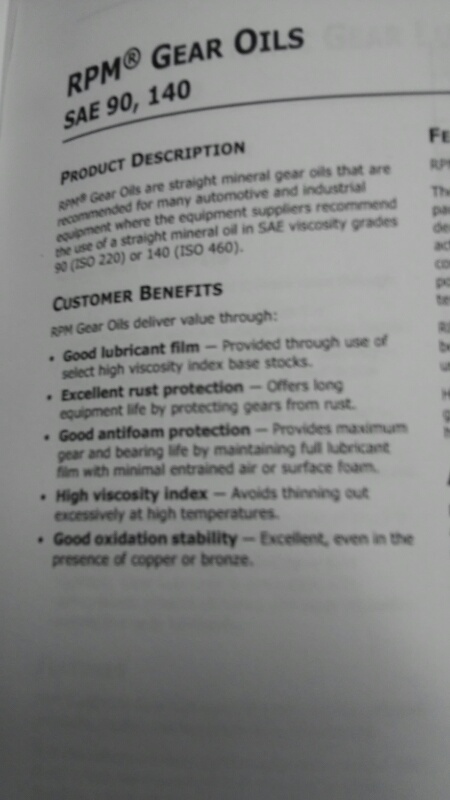 With a manual, the GL-4 rated synthetic is a smoother shifting lube, IMHO. Edited 1 time(s). Last edit at 10/26/2014 02:51PM by 1966-Corsa-GT-180. With the PG transmission, you are fine with a 80W-90 GL-5 oil. Synthetic will ave a few cents in gas each year, but not required for average driving. 17 bucks a gallon..... Been running it for a while now. You really ought to reconsider using a GL-4/GL-5 oil in your manual transmission differential. 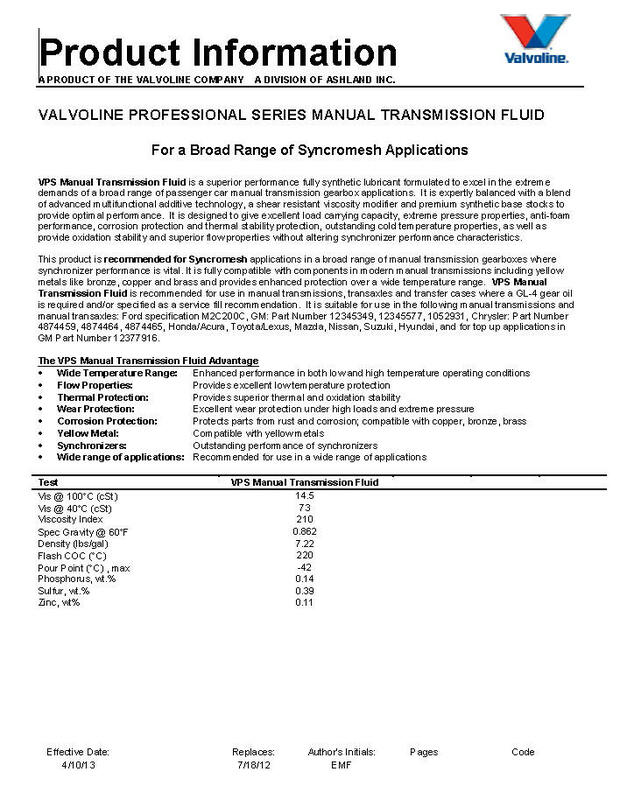 And if you do not believe the experts like richard1 you might check out Valvoline's Product Sheet. "I called Valvoline regarding this. They indicated that the problem with some GL-5 is activated sulfates. They indicated that they do not use activated sulfates and their GL-5 is safe for yellow metal... "
Certainly you can believe what you want. I guess I will continue believing what the experts say on this and other forums and I will most certainly trust Valvoline's written documentation (note Valvoline's recommendation IN BOLD LETTERS below) over what a friend of yours heard over the phone. Hey, not trying to be down on you, just suggesting you really ought to reconsider . . . I thought we had that clear on here. What he told you is misleading. --True: GL-5 covers and surpasses all EP tests for GL-4. --True: Sulfur/phos additives used today en either product do not damage yellow metals by themselves. Any GL-5 can state that it meets GL-4 & GL-3 specs. 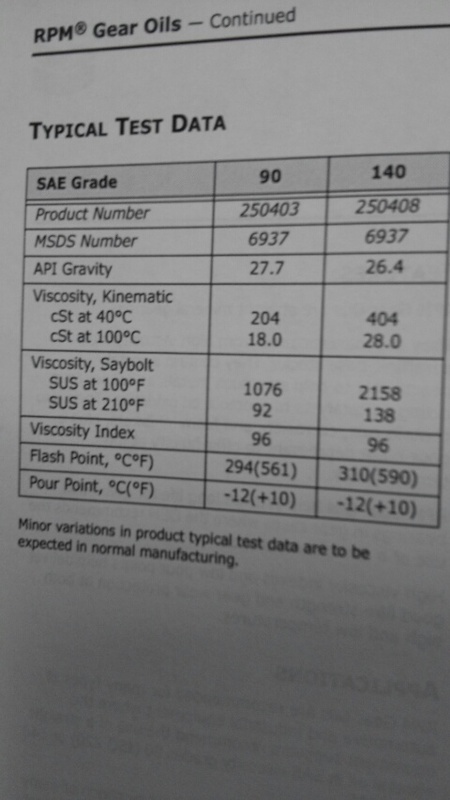 The API GL classifications do not address synchronizer wear. --GL-5 WILL cause excessive wear and temperatures in synchronizers. Among dozens (hundreds) of other experiences I have with this, I'm running a demonstration with one of the local interstate bus lines that has MB buses with synchronized transmissions. After the original factory GL-4, their mechanics put GL-5 in for the same reasons believed by many. They had serious temperature and synchronizer problems, blaming MB. They MB engineer and I went several times to try to convince them (and MB refused the warranty claim on a dozen transmissions. They kept the GL-5 for all its myths, and started changing transmission oil every 8000 km. Saturday one of the buses came in for its oil changes. They are now on their second change with GL-4: 20,000 km the first time with 1/4 of the copper in the oil. This time they went 21,000 km (I will also be analyzing the oil), and the driver could not stop talking about how easy the transmission shifted and continued to shift throughout the period. He could not believe that a simple oil change would fix the constant shifting problems they have had for years. Do not believe anyone who tells you that GL-5/GL-4 is safe for synchronizers. Like you my auto background goes back a ways, going back to professionally twisting wrenches in a general repair shop while Corvairs were still being produced. 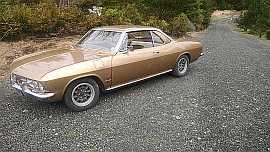 And daily driving Corvairs while they were still being produced. 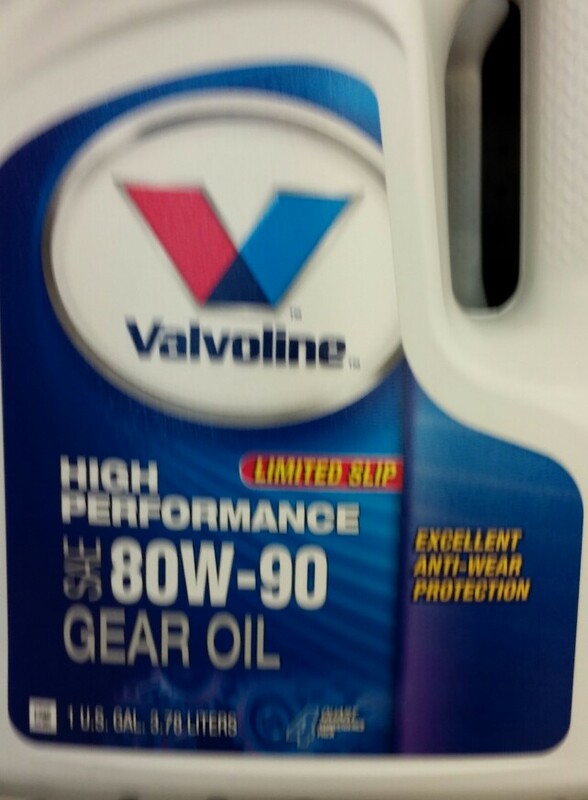 One area where we are in agreement is Valvoline is a good product. 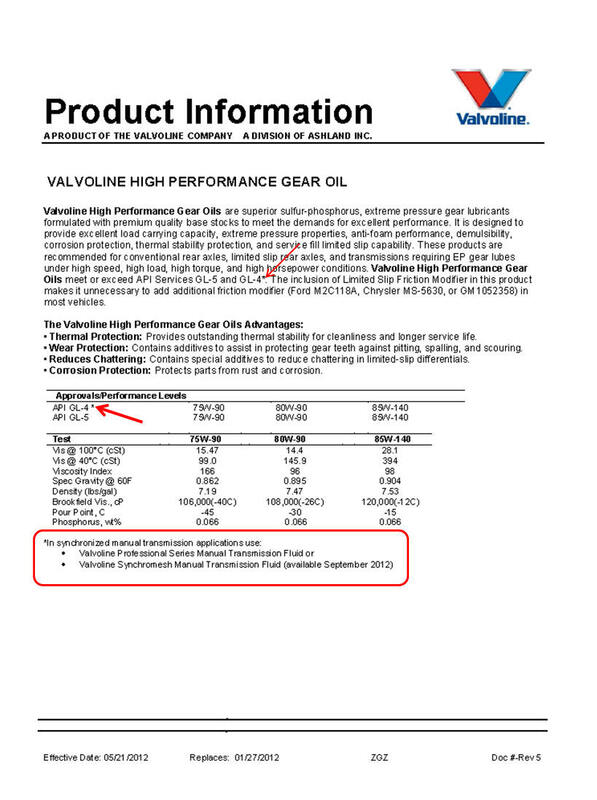 And assuming the responses you and your buddy received were true, does it not strike you as odd that Valvoline in their published product sheet do not state their High Performance Gear Oil is compatible with yellow metals and instead recommend the use of two of their other products? 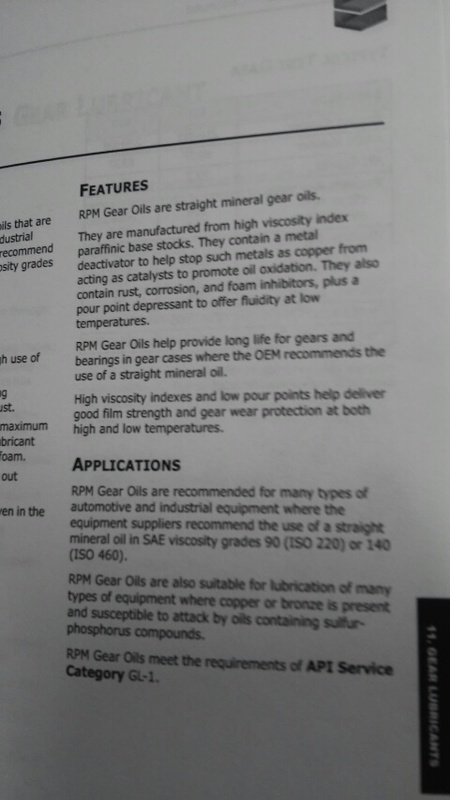 Especially when the product sheets of both other recommended oils specifically state they ARE compatible? I'm glad to hear you and your friends are not having synchromesh problems. The evidence to the contrary, however, is great enough I'll continue with GL-4 non-GL-5 oils in mine. Edited 1 time(s). Last edit at 10/30/2014 04:50AM by NMCarNut. I know our transmission guy in the club makes a lot of money off folks running old lubricant or the wrong lubricant in transaxles. Yesterday I heard from a fellow running Redline GL 5 NS. 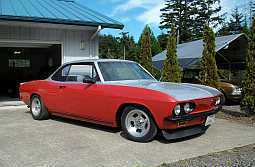 A year ago he put it in his newly rebuilt transaxle and said it made it shift great. Well suddenly he can't shift over 3,000RPM without a lot of gear clashing!!! He's not happy. Eventually he'll pull the transaxle and find out what went out and if the Redline was an issue. Now I can understand someone running Old lubes but with today technology in oils and such Thing's have came alonggg ways Just like motor oil i run shell diesel oil 15/40 in everything me and my dad own..and even a 96 gmc truck i bought almost new and in all the corvairs we own...A few years ago we tore down a corvair engine that had 15/40 oil in it all of the 147k miles it had on it and amazingly there was very little wear and the cam was in great shape and the crank remained standard/standard when we put it back together. I currently am using the Amway....I mean Amsoil lube. Just found this from Chevron In my book at work. Going to call and find out if it's still available. Would it be safe to use? > Just found this from Chevron In my book at work. > available. Would it be safe to use? 90w in a PG axle maybe but no way for a manual trans. Too thick.